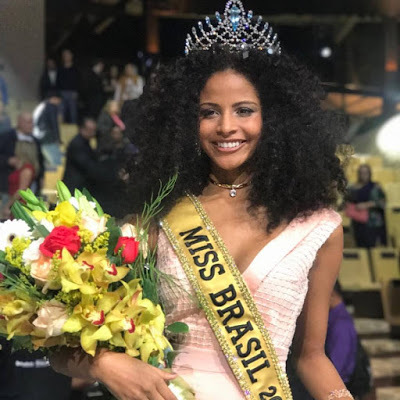 Monalysa Alcantara, 18, Miss Piaui was crowned Miss Brasil 2017 on August 20. Alcantara is the first representative from her state to win the national title. Also, for the first time in the history of the pageant, a black woman was crowned by another black woman, Raissa Santana, Miss Brazil 2016. Alcantara will now represent Brazil in the 2017 Miss Universe pageant to be held in Phoenix, Arizona on November 26. The first runner-up was Miss Rio Grande do Sul, Juliana Mueller, and the second runner-up was Miss Espirito Santo, Stephany Pim.